With the release of all the new Crysis 3 trailers lately, we can already imagine that Crysis 3 is going to be one gorgeous looking game. Now with the release of the latest gameplay trailer, we also get a small preview of the brand new Hunter mode, which sort of seems like an Aliens vs Predators deal in a less slimy scenario. 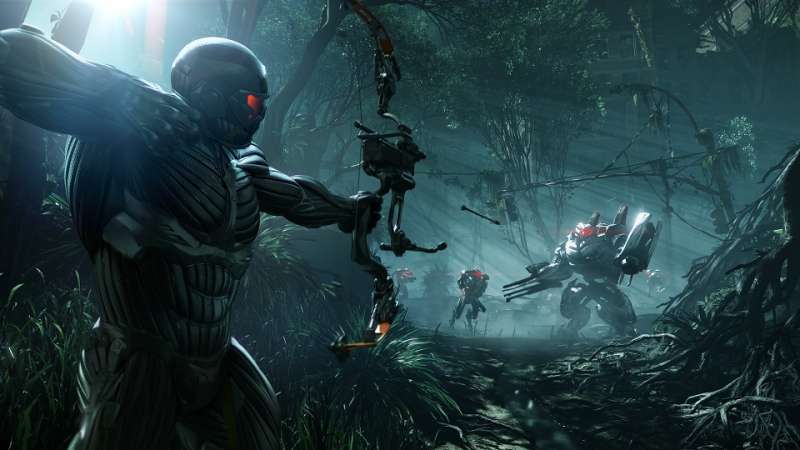 Hunter mode pits two nanosuit clad hunters against fourteen ordinary cell soldiers. The objective? For the hunters, it’s to kill every single cell soldier while preventing them from reaching an evacuation point. This suggests that there’ll be lots of cloaking and silent assaults involved while keeping in mind that the element of surprise is the hunter’s number one advantage. The cell soldiers on the other hand have to stick together to fend off their nanosuit sporting counter parts who may strike at any time. This cat and mouse gameplay will surely become a very popular game mode and should bring along some very unique strategies.